6 And Samuel said to the people, “TheLord is witness, who appointed Moses and Aaron and brought your fathers up out of the land of Egypt. 7 Now therefore stand still that I may plead with you before the Lordconcerning all the righteous deeds of theLord that he performed for you and for your fathers. 8 When Jacob went into Egypt, and the Egyptians oppressed them, then your fathers cried out to the Lord and the Lordsent Moses and Aaron, who brought your fathers out of Egypt and made them dwell in this place. 9 But they forgot the Lord their God. And he sold them into the hand of Sisera, commander of the army of Hazor, and into the hand of the Philistines, and into the hand of the king of Moab. And they fought against them. 10 And they cried out to the Lord and said, ‘We have sinned, because we have forsaken the Lord and have served the Baals and the Ashtaroth. But now deliver us out of the hand of our enemies, that we may serve you.’ 11 And the Lord sent Jerubbaal and Barak and Jephthah and Samuel and delivered you out of the hand of your enemies on every side, and you lived in safety. 12 And when you saw that Nahash the king of the Ammonites came against you, you said to me, ‘No, but a king shall reign over us,’ when the Lord your God was your king.13 And now behold the king whom you have chosen, for whom you have asked; behold, the Lord has set a king over you. 14 If you will fear the Lord and serve him and obey his voice and not rebel against the commandment of the Lord, and if both you and the king who reigns over you will follow the Lord your God, it will be well. 15 But if you will not obey the voice of the Lord, but rebel against the commandment of the Lord, then the hand of the Lord will be against you and your king. 16 Now therefore stand still and see this great thing that the Lord will do before your eyes. 17 Is it not wheat harvest today? I will call upon the Lord, that he may send thunder and rain. 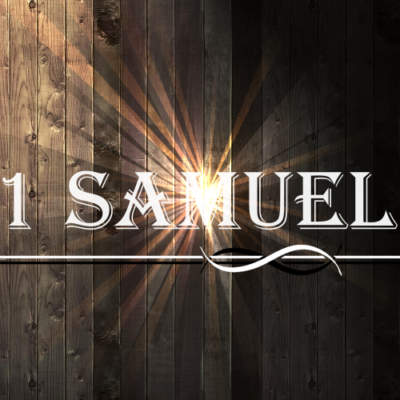 And you shall know and see that your wickedness is great, which you have done in the sight of the Lord, in asking for yourselves a king.” 18 So Samuel called upon the Lord, and the Lord sent thunder and rain that day, and all the people greatly feared the Lord and Samuel.